To celebrate the game's release, the Capcom Bar in Shinjuku, Tokyo is bringing back a selection of popular dishes from its previous menu for a limited time. It's a shame that the delicious burdock pasta isn't one of them, but apart from that it looks like a great time to pay the bar a visit if you're in Tokyo and haven't been before. If you prefer some musical entertainment with your Sengoku Basara cocktails, you can also pop in to a branch of Karaoke Pasela from 10th January until 22nd January 2014 for some special food and drink. Different branches of the chain will be offering different dishes, and there are pin badges to collect. More information about the Oedo Onsen Monogatari event has surfaced as well, including pictures of the items that you can pick up (with new additions) and the food you can order. The number of attractions there is ridiculous - it should make a fun day out for anyone with an interest in the series. That's not all; the latest place to join in is Sengoku Buyuuden, a Sengoku-themed bar in Shinjuku, very close to the Capcom Bar itself. It will be serving some unique Sengoku Basara food and drink from 16th January until 18th February 2014. Customers can also receive special coasters for ordering from the Sengoku Basara 4 menu. I'm very late to report this; the first issue of the new Basara Club newsletter apparently mentions Sakon's alternative costume (as previously revealed) and then teases a shot of Masamune's. The snippets of text I've seen imply that it's his standard alternate outfit, not DLC. Some people have also posted pictures of the New Year card from the fan club as well as the newsletter's front cover. The Capcom Channel has started its countdown to the game's release with a new gameplay compilation. It's difficult to say which part of Shikanosuke's new video is the best: Shikanosuke and Oyassan, the ridiculous Xavi Land stage or Muneshige fighting in his cute mascot costume. What happens when the reels at the top of the screen land on something different? The options shown this time were Dance, Pray and Exciting. Separately, you can also see some gameplay from the Basara-bu Otomegumi team on the Capcom Channel at this link. Demonstrating how important it is for fans to vote for their favourite character even in silly online polls, Sony posted gameplay videos for the two characters who managed to top their small character ranking survey a few weeks ago as few days ago. 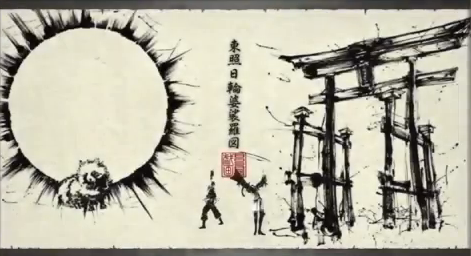 Motonari's video showed his Giga Basara title ('Nichirin') and artwork for the first time. The team of Nine Demons Yoshitaka and PSandNintendFreak from the Koei Warriors forum have once again produced a full subtitled version of the latest PV in English and German. The video information confirms that the team are planning to subtitle content from the game, so fans who were worried about not understanding the story can relax and import. Their speed and dedication is impressive! The issue of Dengeki Maoh magazine with the final chapter of Mame Sengoku Basara and the four limited edition pin badges (Yukimura, Ieyasu, Matabee and Shikanosuke) is now up for preorder at Amazon Japan. It should be available through all good importers if you need those badges, though some don't carry bulky magazines like Dengeki Maoh unless they're specifically requested. 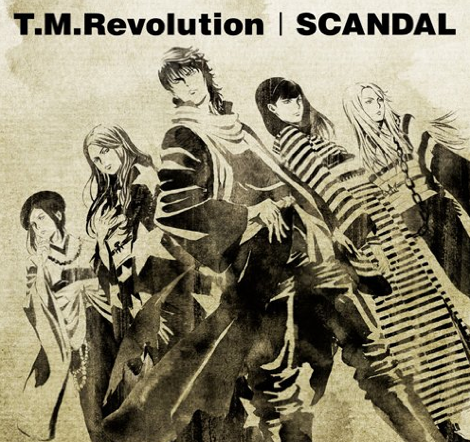 We also now have cover artwork for the opening/ending theme song CD. The first press special edition is rather colourful. The standard edition is similar with a more muted palette. 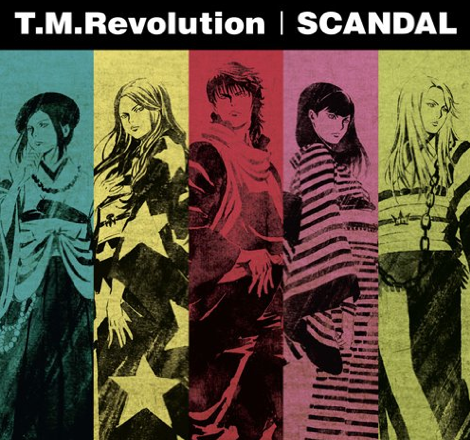 Last but not least, Ami Ami, CD Japan and Yesasia are listing a set of collectible posters for release in February. There are sixteen to track down, though the omission of a Hideyoshi for the Hanbee to be stuck next to mildly disappoints me. Still, it's just five days until the big Basara Matsuri event so I'd say that an announcement or two is very likely over the next few days, especially since they're going to the trouble of streaming the evening show across Japanese cinemas. It's about time that they should be announcing the next stage play; anything else on top of that would be amazing!